Modern meets traditional in this stunning bathroom and the finished result is outstanding! We transformed this outdated room into one of the most beautiful bathrooms in Ireland. 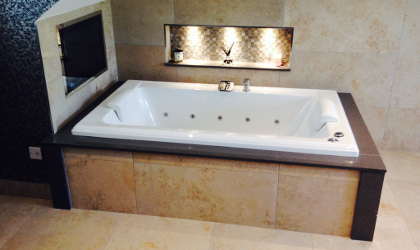 An incredible bathroom transformation in a private home in County Armagh. 4 Luxury bathroom renovations in the beautiful Slieve Donard Hotel in Newcastle, Co. Down. This feature rich bathroom has a TV to watch while you relax in the bath! 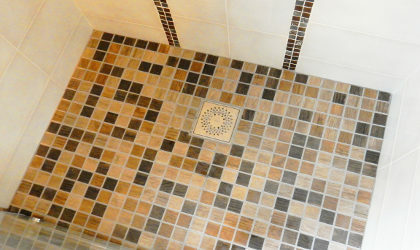 Beautiful bespoke luxury wetroom finished with, you guessed it, marble. 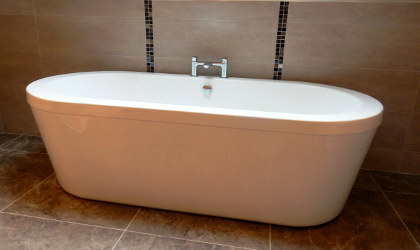 A stunning bathroom installation in a beautiful country home. A cool, sleak, modern en-suite/wetroom design and installation. We have a thing for Emperador Marble. It just looks great in a bathroom enviornment! "Great job. We are extremely pleased!" "The best team there is."